I am still compiling information about a very little known monument outside the gates of Sun Oil's Marcus Refinery. Surprisingly, during my last visit I was pleasantly surprised to see the hedges trimmed back and the area around the moment clear of debris. The patina on the metal is very well embedded and is probably protecting the underlying metal surface from the Marcus Hook environment. As I get information, I will add it on this page. 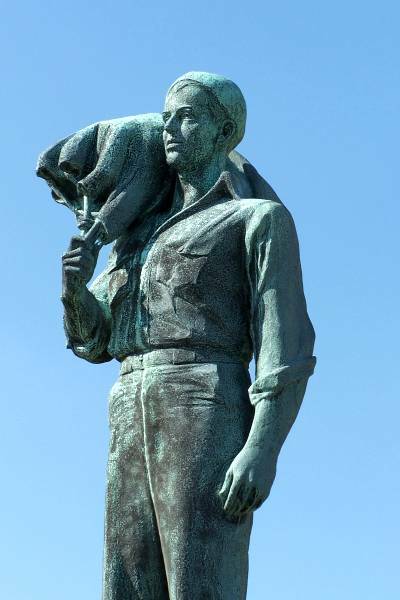 Below I have links to more pictures of the monument and a listing of the sailor's that are being remembered. Received an email from Michael E. Birkett, who is Senior Manager - Sunoco Logistics Nederland Operations. He is working on updating the entryway into the Sunoco Nederland Facility. 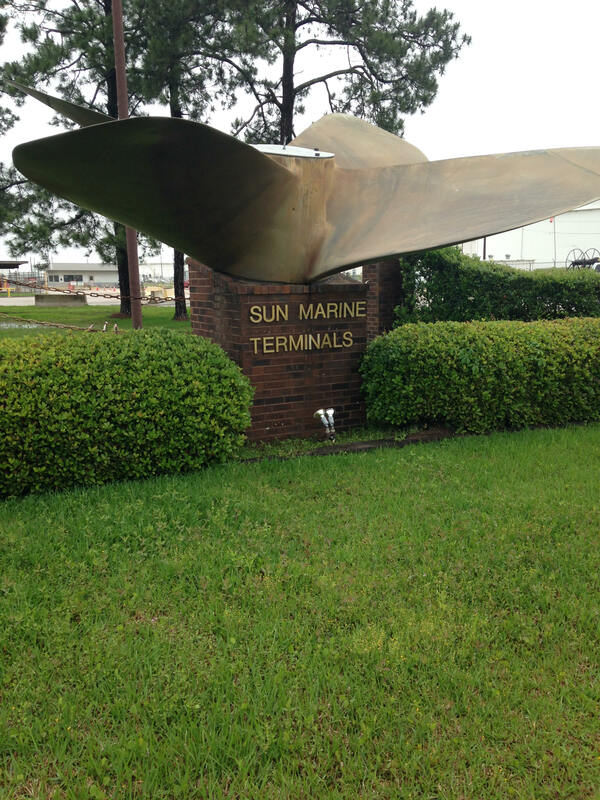 At the entrance driveway of the facility is a a propeller from the Delaware Sun mounted on a pedestal. They also have a name board from the Texas Sun. These items honor these two ships and the people who sailed them. Michael is putting together information for either some plaques or framed write-ups to be placed inside the main administration building. He was looking for information from the Fleetsheet website to compile some photos and other information from these ships. If you are in the neighborhood, be sure to check it out!